WASHINGTON, DC -- The European Union stands on the edge of a decision that may have profound implications for the continent and on relations between the European Union and Russia, not to mention the United States. What will the European Union decide? And in particular, will that decision be made on the basis of the fate of one famous individual? Of all the countries to emerge from the former communist bloc, the most important (besides, obviously, Russia) is Ukraine. The future course of the so-called "borderland" (which is what "Ukraine" means) as a bridge between Europe and Russia is of crucial importance to both sides. Ukraine's current government under President Viktor Yanukovych hasn't locked in a final commitment to either orientation. Moscow offers Ukraine immediate full membership in a Customs Union comprised of Russia, Belarus (Ukraine's neighbor), and Kazakhstan. The European Union would like to sign an Association Agreement) with Ukraine, as well as a free trade pact -- but only if certain conditions are met before the end of this month. Convicted of corruption and embezzlement over a bad natural gas pricing deal with Russia when she was in office, Tymoshenko is serving a seven-year sentence. She also stands accused in the 1996 deaths of Parliament Member Yevhen Shcherban, his wife, and two other people. 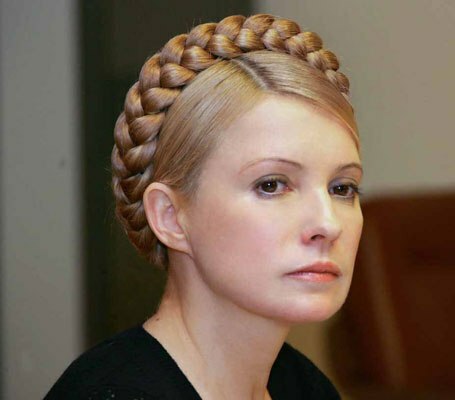 At the end of April, the European Union upped the ante when the European Court of Human Rights (ECHR) ruled that Ukraine violated Tymoshenko's fundamental rights, and that her pretrial detention was arbitrary and politically motivated. That decision came as the end-of-May deadline approaches for Brussels to rule on whether Kiev has met the European Union's conditions for offering to sign the AA and free trade agreement with Ukraine. It appears that at least some in Europe are prepared to insist on Tymoshenko's release as a take-it-or-leave-it demand to Kiev. In particular, Wilfried Martens, head of the Center-Right "European People's Party" bloc in the European Parliament, has said he and his aligned parliamentarians will support the offer "only if the Ukrainian authorities fulfill the conditions put forward by the European Union, including the end of selective justice and the immediate release of Yulia Tymoshenko." As the European Union and member governments consider their next move, it's important for them to consider the relative weight of Tymoshenko versus the European Unions interest in Ukraine. As Marc Champion of Bloomberg notes, "The agreement might enable the country to export its own gas to EU markets and allow Ukraine to reduce its energy dependence on Russia, from which it gets 60 percent of its natural gas. Russia, on the other hand, says it will cut the relatively high price Ukraine pays for gas if it joins a trade bloc with Russia, Belarus and Kazakhstan." The ECHR ruling, which isn't binding on Ukraine, dealt only with Tymoshenko's pretrial detention on corruption charges connected with a disadvantage gas pricing deal with Russia. It didn't address the more serious charges relating to the Shcherban killings. "There is no doubt that the termination of criminal case concerning the murder of four people would be a great sin before God and man. If this were permitted to occur, we would be committing another crime, showing a new generation that a powerful politician may with impunity act illegally, and even murder people." Will the European Union be prepared to dismiss out of hand concerns Kuzmin raises -- concerns the ECHR didn't address -- at the risk of permanently alienating Ukraine and, in that event, pushing Kiev into the Moscow-led Customs Union? Absorption of Ukraine into the Customs Union would be a huge windfall for the Russian-led, resurgent neo-Soviet bloc, which still sees the west (not only the European Union but especially the United States) as a strategic adversary. We will soon see which way the European Union and key European governments will choose. It's a decision they need to weigh very carefully. If the European Union shuts the door on Kiev, as some now predict after the ECHR opinion, the long-term, negative consequences could be irreparable. WWhat do you mean by borderland? The word translates as "in my land". If the city exists for 1500 years, that's considerably longer than Moscow, how is it a borderland? Don't lower us. To us , Ukraine is our land.